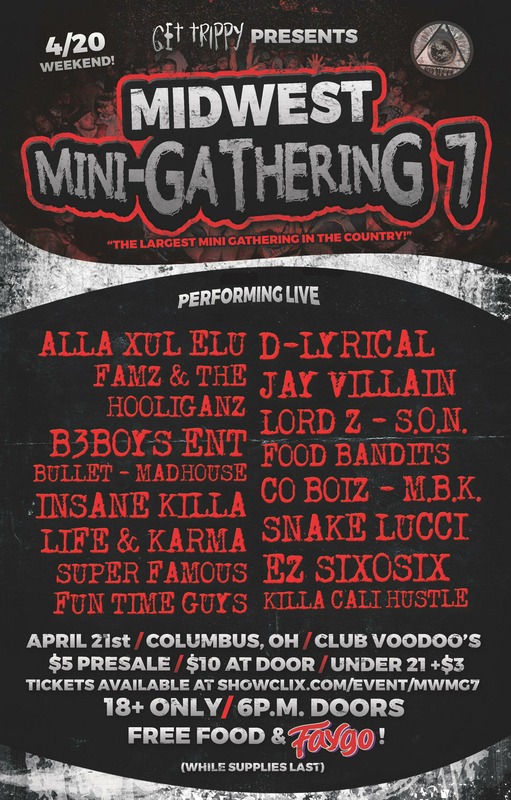 Listen up Columbus Juggalos! Want to go to a pre-GOTJ warm-up? I’ve got some info for you to sink your teeth into then! 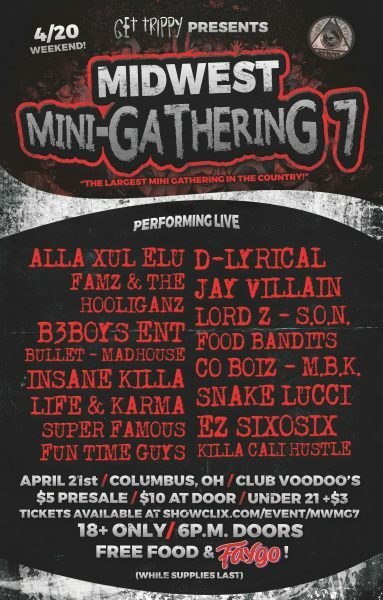 This Saturday, April 21st, the 7th Annual Midwest Mini-Gathering is taking place at Club Voodoo’s in Columbus, OH! Not only that, but there will be Free Food & Faygo! For $5.00, who could ask for more?